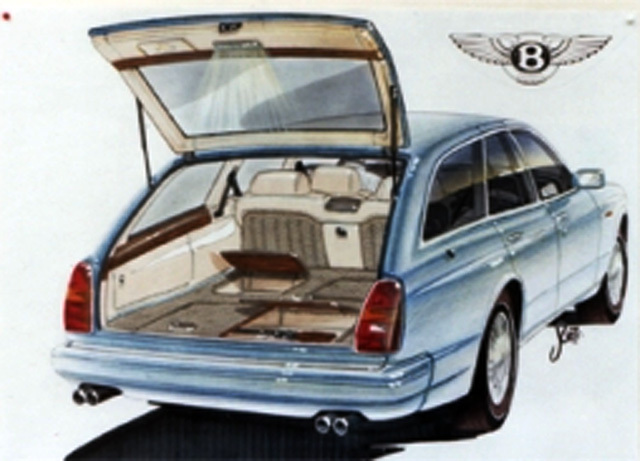 This is a special order vehicle for the Royal Family of Brunei, part of their amazing collection of vehicles, semi-explained via The Sultan of Brunei Darussalam's Different Bentleys and The Sultan of Brunei Darussalam's Different Rolls Royces. Some new renderings of the car have popped up. 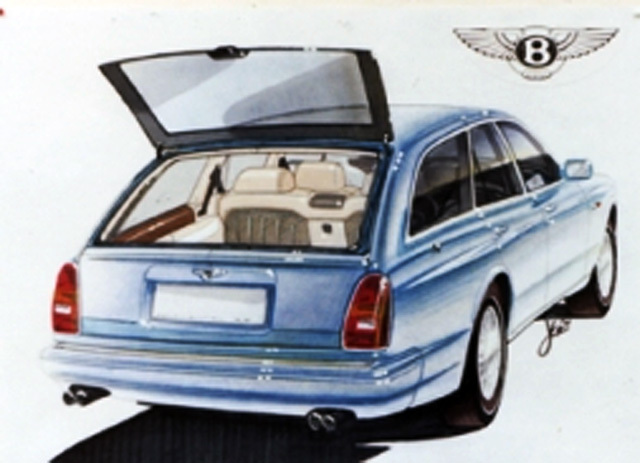 The renderings come from the portfolio of the designer, Steve Harper, who drew there rendering in 1992 for the Mulliner Park Ward Division of Rolls Royce and Bentley. It shows the details of the lock up compartments to the rear. They also reviel that the rear window opens seperately to that of the whole tailgate. This is quite a handy feature for an estate car. here is a very rare photo of the car.